The second letter to the Corinthians is Paul's personal appeal to the church he founded in Corinth, a church influenced against Paul by false prophets. In describing the type of Church Leader that is pleasing to God, Paul reveals more about himself than in any other of his writings. It is as if we can see into his soul as he lovingly points out the faulty attitudes of the church at Corinth. 2 Corinthians : Focus on the Bible by Geoffrey Grogan was published by Christian Focus Publications in March 2007 and is our 19404th best seller. 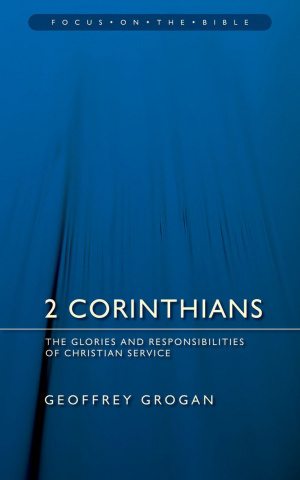 The ISBN for 2 Corinthians : Focus on the Bible is 9781845502522. Be the first to review 2 Corinthians : Focus on the Bible! Got a question? No problem! Just click here to ask us about 2 Corinthians : Focus on the Bible.